I am a member of the Collective Bias® Social Fabric® Community. This shop has been compensated as part of a social shopper insights study for Collective Bias and Bacardi. Christmas isn't always a case of "tis the season to be jolly tra la la la la la la la la". There are plenty of people who will be alone this Christmas, and just as many people again, who will feel lonely in a crowd, either because they are surrounded in family/friends but missing someone special, or they're stationed overseas somewhere, or the worst case scenario: a loved one is dearly departed. If this is the case, and you're reading this you are not alone and I am sure social media will still be alive and well throughout the festivities - there's always someone somewhere at the end of a screen. The beauty of the interwebs. Always company, always someone to talk to. For me, Christmas has been a sad season for the last couple of years as my Mum has not come over from Ireland, and to be brutally honest, we haven't spoken since May this year. I don't really want to go into it, but you can read my poem about unconditional love here, and trust me that Christmas is just not the same without her. Previously Christmas was always beautiful. Our tradition for about 12 years has been that she ALWAYS arrives in Stansted on Christmas Eve. I ALWAYS did a half-day at work and went there on the Stansted Express to get her - easy as I worked in Liverpool Street. We'd get back in the dark, and she'd ooh and aahhh at the Christmas decorations and fall asleep on the sofa cosy in front of the telly after dinner, a few teas/coffees, Christmas Cake and finished off (quite literally) with Bacardi & Cokes. While she snoozed I'd make up her room - I can't think of a year I was organised enough to do it before she arrived. I'd be too busy getting her favourites in, like Bacardi, mince pies, Christmas cake (HAD to be one plain and one iced which had to be purchased from M&S) and brandy butter/brandy cream and the very best of Christmas puddings. I am not a baker so it'd all be shop bought. Not doing all of that, not getting housework done for arrival, leaves me a little hollow. Would you believe, today is 12th December and we don't have a single decoration up, despite me being the Mother of a 3.5 year old. I know, it is terrible, but my heart is not in it. I don't put decorations up in a messy house and I have no get-up-and-go to tidy. Mum, you hurt me in May, really badly so, with your words, but that is not to say I don't miss you. I really really do! This Bacardi post is a toast to you, wherever you may be. 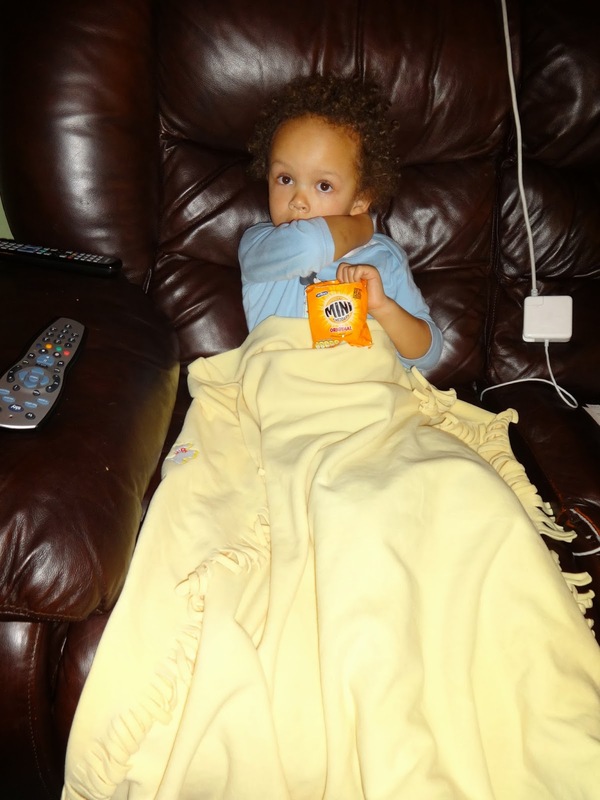 This was our Christmas in happier times Christmas 2008. (I wrote about it on my old blog). Folkestone Christmas 2008 when we went for a drive to the White Cliffs of Dover. Her favourite drink, in fact her only tipple, is Bacardi! 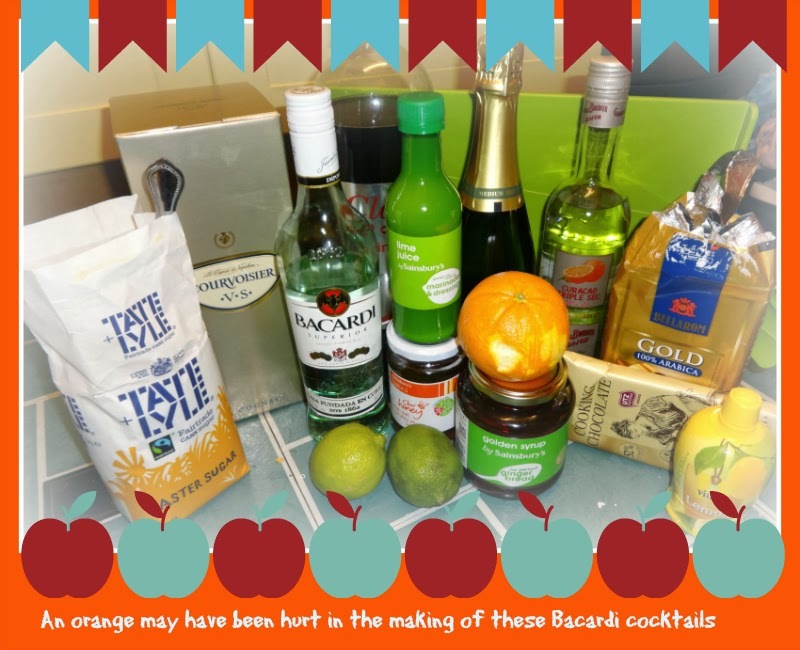 So when I decided to purchase Bacardi and make cocktails, for this post, it was with a "let's make a bad ting good" (Rastamouse stylie) attitude! I did it with a heavy heart, with a view to putting some sunshine on a sad situation. So far I have made the below two, and they are yummy! Try taking a photo of a cocktail that looks like the above, it's not easy! The website is worth a perusal. Enter your D.O.B. to "enter the party". Some amazing cocktails on there, you'll be transfixed, if you're anything like me! Be prepared to spend a long time on there and be prepared for going on an ingredients hunt for the more unusual ones! 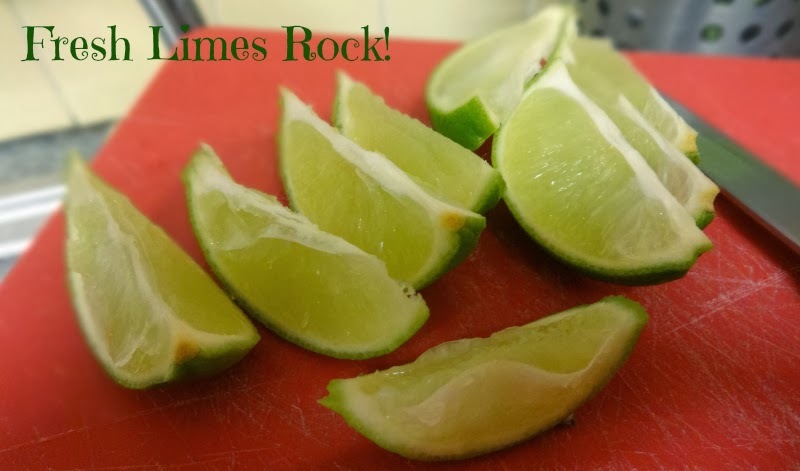 I made the above, and I must say, Aaron loved the smell of the fresh limes cut up and said "they smell yummy". He then went to bed and the real fun started. The recipe dictates that you muddle the mint, sugar and limes. Muddling the limes! Wow what a beautiful fresh zesty invigorating smell! 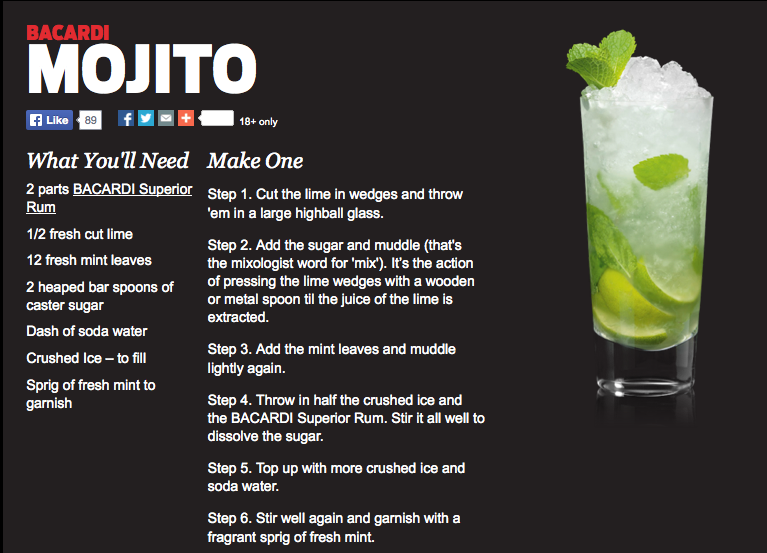 Is there any other way to make mojito (without Bacardi?) I never knew, in all my years, that it's made from Bacardi. Neither did I know that it is so so easy to make! No blender required and hardly any ingredients! Believe it or not, 16th century hipsters drank cocktails too. 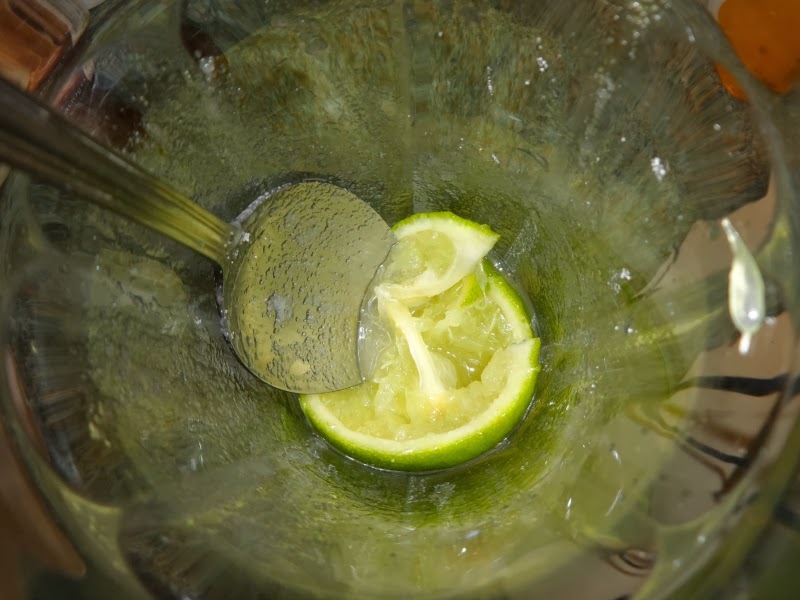 It may not have looked like a cocktail, but the forerunner to the Mojito was invented way back in 1586. Called 'The Draque', it was named after an English Privateer known as Drake, and made with rough-as-old-boots Aguardiente, the only rum they could get their hands on at the time. Fortunately, by the late 1800s, thanks to Don Facundo Bacardi Masso, the founder of BACARDI, rum had found its mojo. 'The Draque' turned into the far more enchanting Mojito, which means “little spell” in Creole. So, shall we move onto something a bit more tricky? Yeah I think so! Feeling slightly tipsy now though as I drunk the above and it had 4 cap fulls of bacardi in it, which each went a little over shall we say. Wow the above packs a punch. It has to be drunk slowly and savoured - wow! 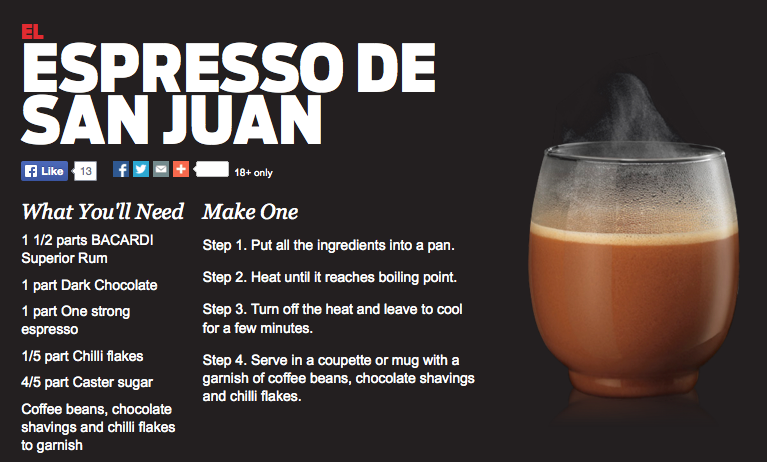 Make it when the recipient is ready to sit down and drink it as it is best enjoyed hot! I don't think I will ever ever be satisfied with ordinary hot chocolate ever again! I don't know WHAT the above means by 4/5 part caster sugar so I simply used two heaped teaspoons. It worked, but was not at all overly sweet, so use more if you are serving someone with a sweet tooth. If it is for a person who likes a drink to pack a punch, and they like alchohol/coffee/chocolate leave it at the two teaspoons. Again the 1/5 chilli flakes, no idea, so I put my first finger and thumb together and used two wee pinches. It worked. Also sprinkled some on top but it is the ones in the pan, that make it pack a punch! I couldn't get the drink from the frying pan into the fire, I mean from the frying pan into the cocktail glass so I transferred it to a pyrex jug first which then had the benefit of a spout! If anyone EVER asks you for Hot Chocolate and you know they like a tipple make them this, even if it is just once a year! Tis the season to be jolly! The drink was only on the hob for the purpose of the photo! No glasses were hurt in this experiment! I hope YOU have chilli flakes in YOUR cupboard as I had to go to 5 shops to get them! I bought my Bacardi on offer in Morrisons on Saturday for only £11, BUT I hadn't yet looked up cocktails so I did not know what else I would require. Today I decided on a few, and went to "local" shops for ingredients. LOL Lidl did not have Grenadine, neither did it have Triple Sec and it did not even have a staple: Chilli Flakes. What I did get in Lidl though, was the caster sugar (£1.09), the dark cooking chocolate (£0.99), a packet of Arabica filtered ground coffee (£3.49 yes I had none in) a bottle of Courvoisier that was heavily reduced to £19.99!!! and... lemon juice and a much needed mini panettone! So I then headed to Tesco Metro = same deal. Followed by Co-op, same again (Co-op is the only shop where I walked out without buying anything, such was my disappointment so I am not linking to them). I ended up, today, after collecting Aaron from nursery, getting a bus all the way to Waitrose where I did indeed get Triple Sec but it was £14 (well £13.75) *gulps*!!! I did buy it though. I also got my soda water (which I used in the Mojito above) for only 50p in Waitrose. I got my fresh mint there too (£0.82) - I LOVE fresh mint. The smell of it with fresh limes is WOW!!!! 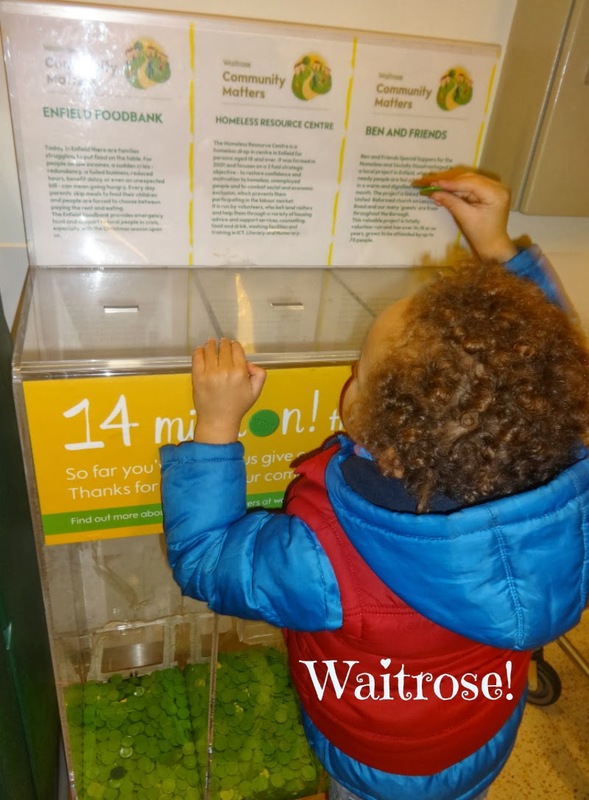 I was VERY disappointed with Waitrose as the whole reason I went there was for Grenadine - what is it doing on their website when they don't even stock it?!?!?!? I happily got my chilli flakes there though for £1.75. Hhhhmmm (1) it needs ice (I have none left) and (2) the limes are a huge improvement on normal Bacardi and coke and (3) it's my least favourite of the 3 featured here. You don't have to be a genius to make a Cuba Libre. 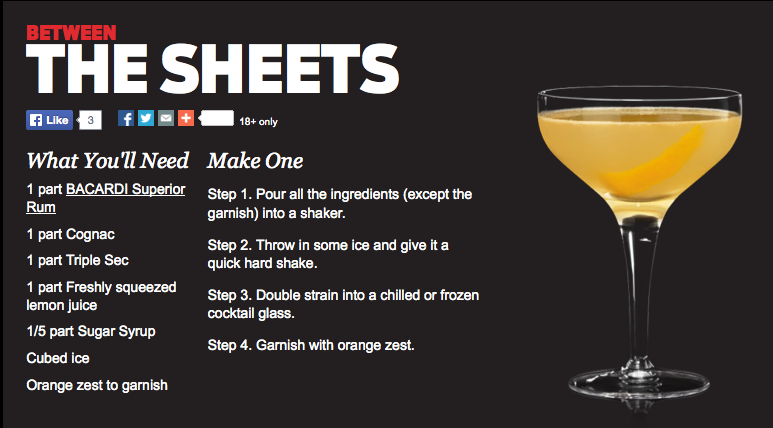 It's one of the easiest cocktails to make, but you've got to do it properly. Now a lot of people might throw any old rum and any old cola into a glass and call it a Cuba Libre. No, that's a rum-and-coke. 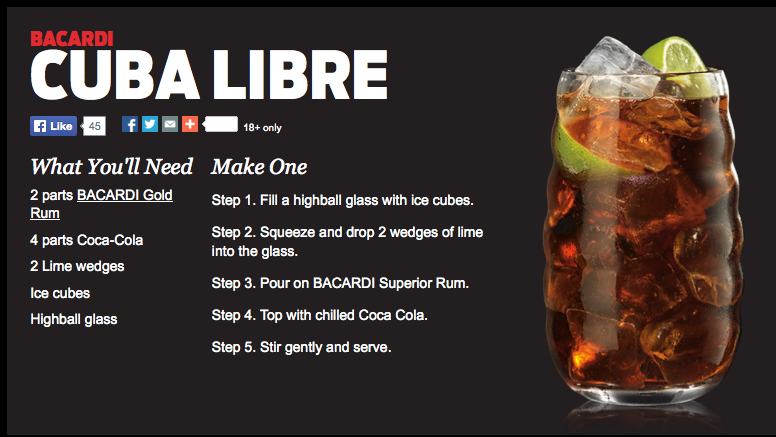 The Cuba Libre requires BACARDI rum and Coca Cola™ with ice and a wedge of fresh lime. Why? Because that's how an original Cuba Libre has always been made – at least since 1900, when American soldiers on Neptuno Street, Havana, first persuaded a barman to mix his precious BACARDI rum with their tasty new beverage called Coca Cola™. Having read the above I now know where I went wrong. I was in the back of the car the other day, and stayed in the car because Aaron was asleep in the car seat. The husband ran into Sainsbury's and I texted him some cocktail ingredients, ironically ones I have not used yet (the above cocktails all used things I have bought today). Anyhow, coke was on the list as I knew I wanted to make the Cuba Libra, and he bought Sainsbury's own brand. Since I was knee-high to a grasshopper coke has always had to be Coke - so THAT is why it doesn't taste great. Also, it has to be full fat. I have never liked diet drinks of any kind. I'm dead against aspartame and any artificial sweeteners - yes he bought diet #doh! Okay, so we could not, for love nor money find sugar syrup ANYWHERE. Dear Reader, or fellow cocktail-drinker new-reader, WHERE does one get it? I have just used golden syrup instead and it just sits at the bottom, so I had to add a couple of teaspoons of caster sugar. 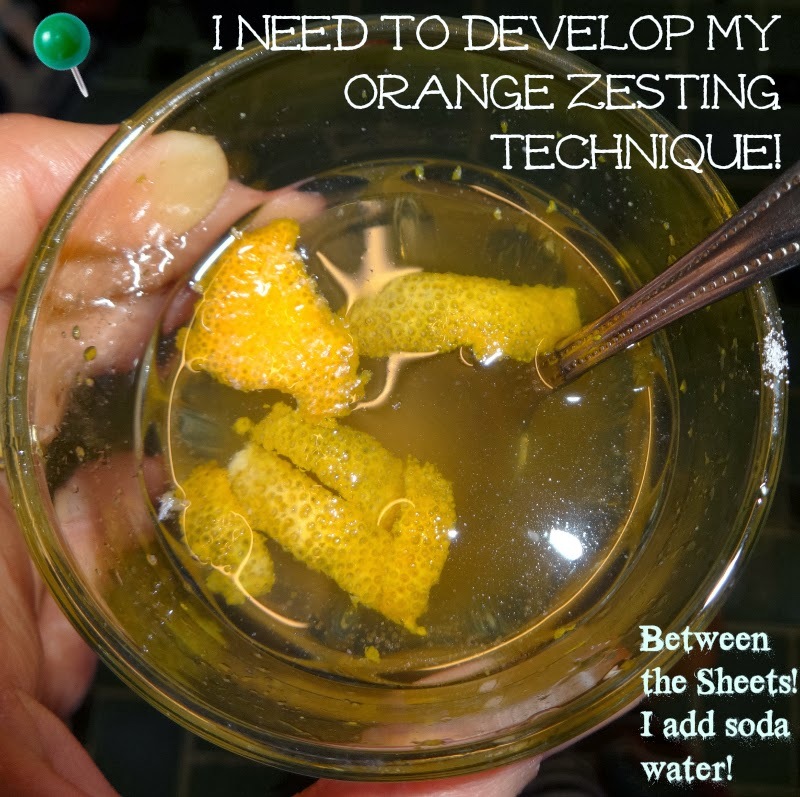 My orange zesting skills need work though eh... Perhaps it didn't mean throw a few bits of peel in there after all. This drink packs such a zesty punch that even with two teaspoons of caster sugar, in a small "short" glass it still packs a mighty punch and there is no doubt whatsoever that you are drinking alcohol. In fact if someone gave this to me, I would swear it had vodka in it. Although I had this in a shot glass I did top it up with soda water as a variation to the recipe and very much enjoyed it! Maybe my favourite tonight. 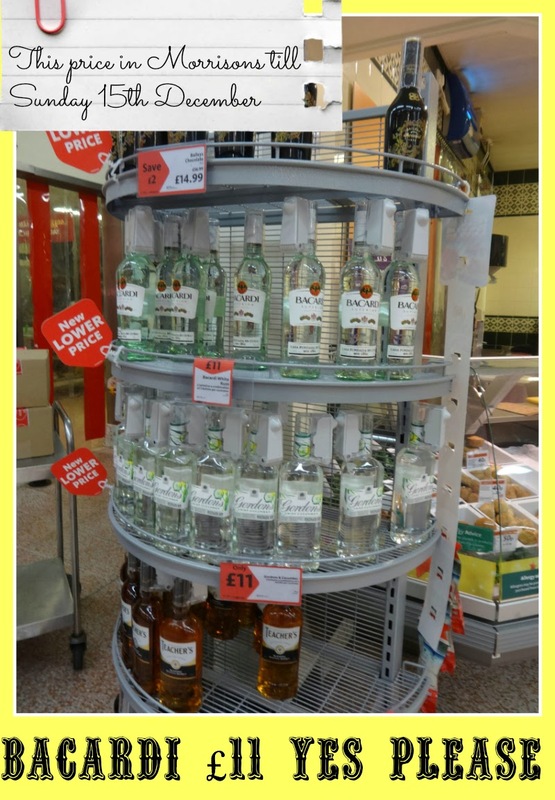 So for the alcohol lovers amongst you, if you are prepared to delve in your pocket for Bacardi (£11) Cognac (£19.99) and Triple Sec (£14) then knock yourself out! Hey not literally though eh? Drink responsibly. Especially given that the first two were on offer at that price! Wow on a 2nd taste it is VERY good and certainly beats the Cuba Libra hands down. Oh and when I poured the 2nd one into the same glass boom and the golden syrup was gone! :-) I did have a big dash of soda water once again! I'm home alone, hubby is at his Mum's so I have made, sampled, tasted, DRANK all of the above by myself, but there are now lots of bottles that will be going in our Christmas Drinks Cupboard!!!! Can you tell that I slightly overspent on my budget??? Yikes!! No wonder when I tried to withdraw money to buy a bag of ice it said "insufficient funds" - a lesson learned in so many ways. DO NOT ATTEMPT TO MAKE COCKTAILS WITHOUT ICE INDOORS UNLESS YOU'RE MAKING THE HOT ONE WHICH I CAN *HIGHLY* RECOMMEND! This is where the bottle is down to, and considering I started at 17:30 and it is now 20:53, I have actually sobered up, or metabolized the alcohol as I have gone along HICC - I feel pleasantly relaxed and mellow though. Festive cheer to one and all! 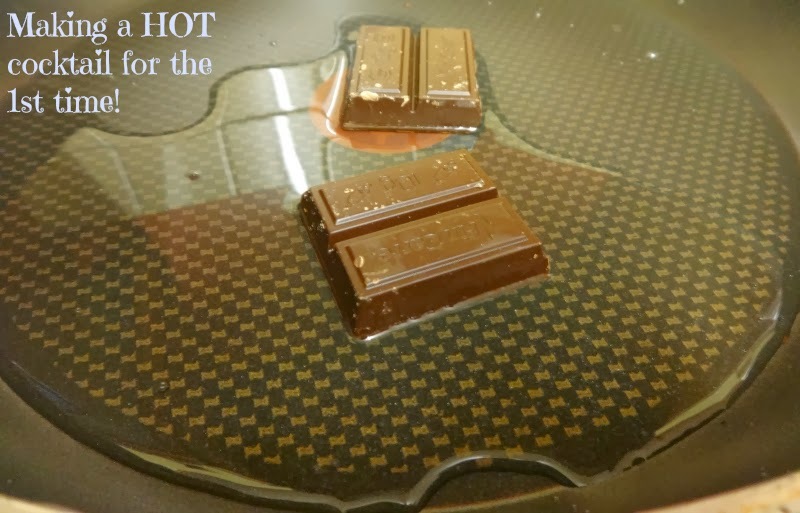 A cocktail with melted chocolate in??! I'm in. It looks like you had a great time testing them out! I;d like that hot one right now. 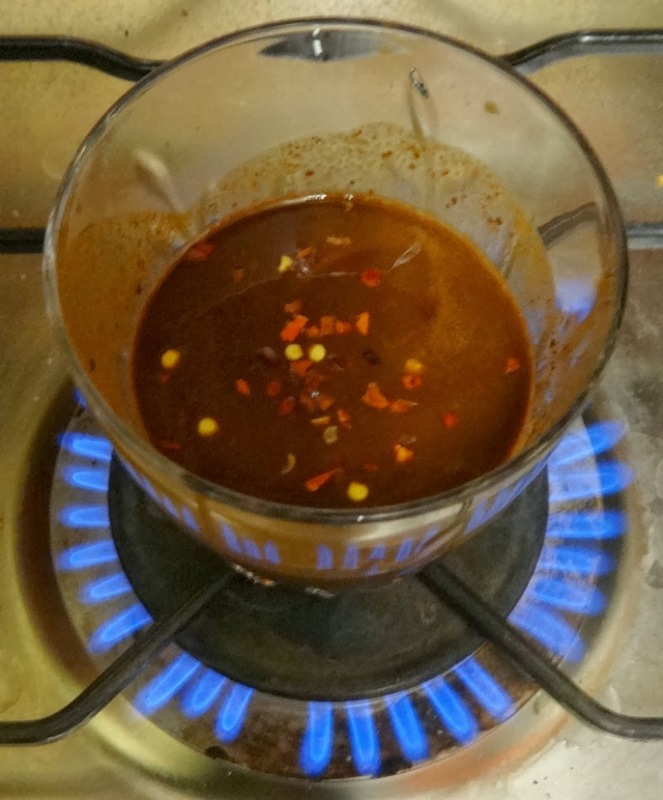 I have chilli flakes as it happens but no Bacardi and no chocolate so I guess that' s not going to happen. You had fun tonight didn't you!